Safety Cat Collar made of black quality leather. 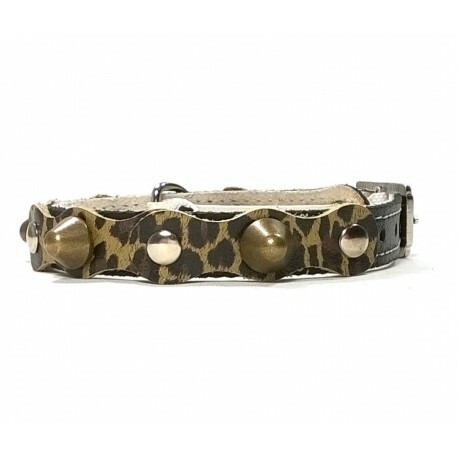 Simple but Cool Design with Spikes, which easily makes every cat look great! Design for Dogs, Cats and their Owners! Superpipapo tends to offer quite extreme handmade designs for pets. Of course we understand that this is not appreciated by every dog, cat or its owner. Therefore we decided to create a more basic design series, accessible for all. The design consists of a nice combination of leather patches and studs. It is available in various attractive color combinations in all sizes. Of course and as usual, high quality natural leather, accessories and finishing have been used! 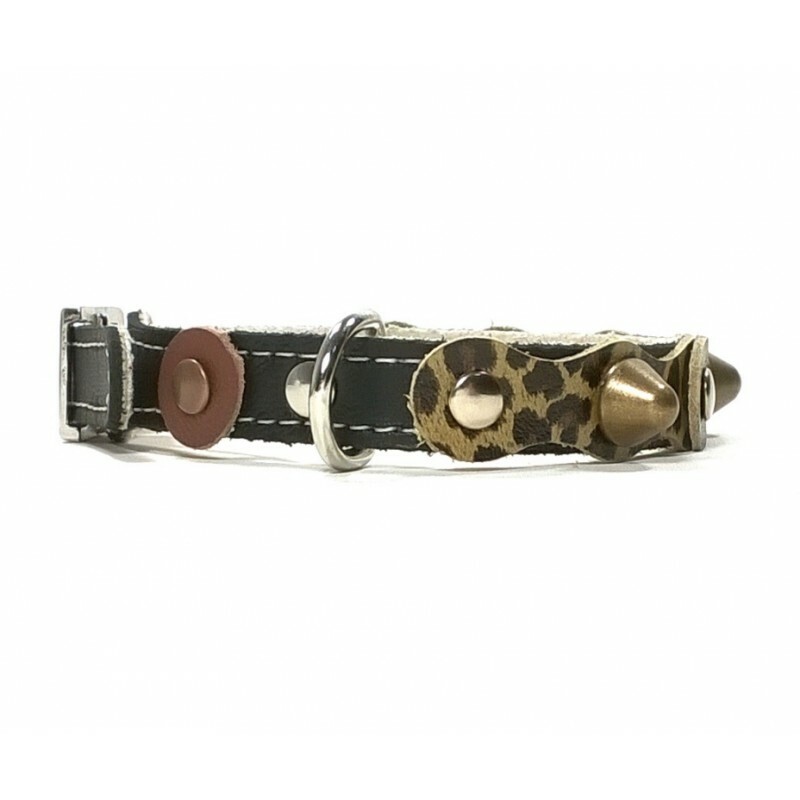 Superpipapo: In Style with Your Pet: of course a matching leash and a bracelet for yourself are offered as well! 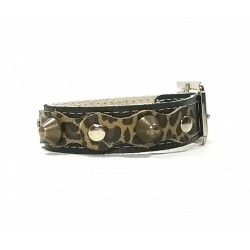 We are confident that amongst our total offer, you will find a perfect and unique design for your pet: All offered at incredible prices!